On January 27, the Wisconsin Dells J-1 International Student Consortium organized an Ice Skating Party for all J-1 participants in the Wisconsin Dells and Lake Delton area. This Super Bowl-themed ice skating party took place at Poppy Waterman Indoor Ice Skating Rink and included skate rentals, transportation, food and hot chocolate for international students, covered in part by InterExchange and other sponsor organizations. The event was a great opportunity for students to meet local community members, employers and city officials in the Wisconsin Dells area. Students shared a meal and hot chocolate with locals, while enjoying a favorite winter American pastime. A total of 151 international students attended the event, including 32 InterExchange Work & Travel USA participants. InterExchange hosted a small group of international students for a pizza party and cultural trivia event at Westgate Park City Resort on February 21. Everyone participated in a fun discussion about American culture and the Work and Travel program! We provided pizza and soda and handed out t-shirts, bracelets and InterExchange sticker tattoos. We got lots of great feedback from students about their winter jobs and time spent in the U.S. and their thoughts on living and working in Park City, Utah. All of the students went skiing during their free time and all noted how well they got along with their housemate(s). This winter, the InterExchange Work & Travel USA team hosted a bowling and pizza party for international students working in Lake Placid, New York. The event was held at a local bowling alley within walking distance to surrounding host businesses. We were thrilled to welcome 17 InterExchange participants from Argentina, Chile, Nicaragua, Paraguay and Peru.The event brought together students working at a diverse companies in the area and gave them the opportunity to mingle with new friends, coworkers and roommates. 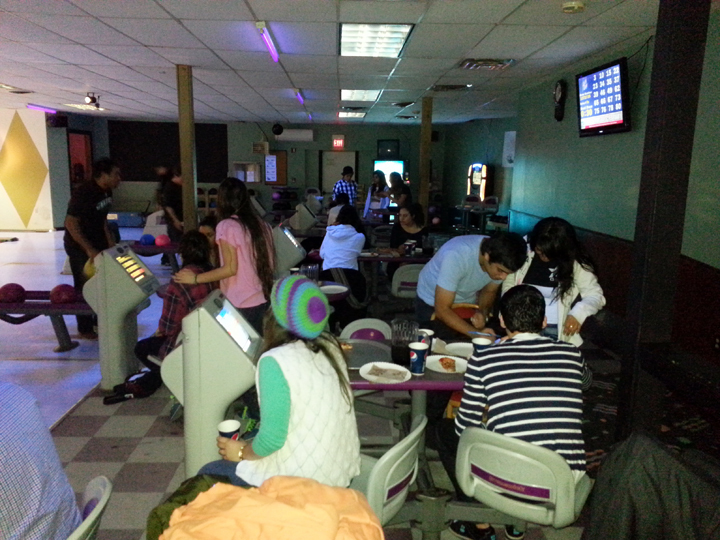 Students had a great time teaching each other how to bowl, taking photos, singing along to the jukebox, practicing their English and sharing stories from their work season. 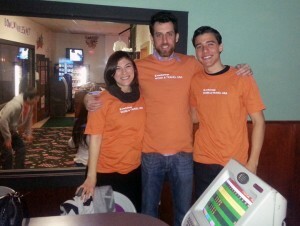 Three InterExchange staff members attended and learned about the students' time in New York, while sharing some bowling tips! The Lake Placid bowling party was a very social, fun and successful event.